THE deputy president of the Chiefs Council, Chief Mtshane Khumalo, has dismissed as false reports that he has written to the Government to recall Chief Nhanhlayamangwe Ndiweni of Ntabazinduna from his chieftaincy. He said he has no powers to recall another chief and there are legal channels to be followed for such a procedure to be effected. 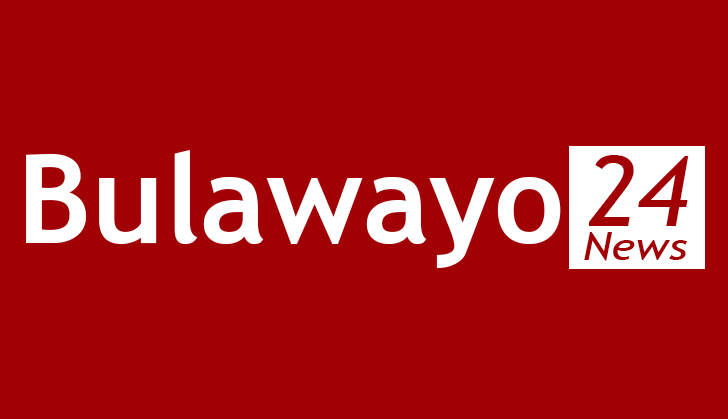 In an interview on the sidelines of the First Lady's interface meetings with chiefs' wives at the Bulawayo Polytechnic College on Monday, the traditional leader said it was not within his mandate to do so. "I did not write any letter to the Ministry," denied Chief Mtshana. "Let the letter be on the public domain for everyone to see it". Chief Mtshana added that "Chieftainship is a family issue" and no one had the power to recall a chief. "Ndiweni is my neighbour why would I ever think of doing such. I heard that they had a family wrangle but l am not interested and involved in that". Matabeleland chiefs secretary Nothiwani Dlodlo reported that Chief Mtshane Khumalo has escalated his fight against Chief Vwezi Maduna of Filabusi and Chief Nhanhlayamangwe Ndiweni of Ntabazinduna by calling for their recall from the chieftainships. 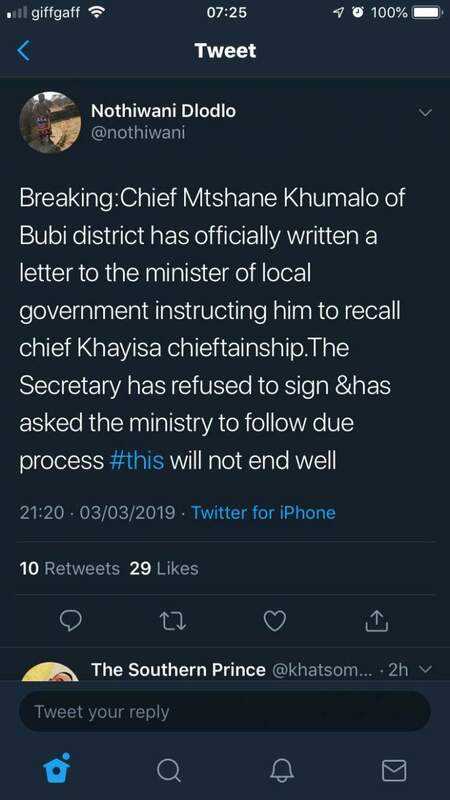 Said Dlodlo, "Chief Mtshane Khumalo of Bubi district has officially written a letter to the minister of local government instructing him to recall chief Khayisa chieftainship. The Secretary has refused to sign and has asked the ministry to follow due process." Dlodlo said the Minister of local government July Moyo is trying to fast track the process to get the two prominent Matabele chiefs ousted. "The Minister of local government is trying to fast track it without due process. Chief Mtshane is working with 6 Chiefs from Matabeleland and 3 Ndebele Chiefs from Midlands to block Gukurahundi issue." Chiefs Maduna and Ndiweni have been engaged in a spirited effort to get the United Nations to set up a committee that will investigate the Gukurahundi genocide that claimed around 20 000 people in Matabeleland and Midlands. Their stance has not been received well by the government and ZANU PF officials. Recently Chief Maduna through his lawyers wrote to the Zimbabwe Human Rights Commission informing them that he has been receiving death threats. "Chief Mtshane Khumalo is pressurizing Provincial chairman Chiefs Chiefs Council Matebeleland South Chief Masendu to write the letter to recall Chief Maduna chieftainship for taking president Mnangagwa to task over Gukurahundi genocide." Dlodlo further revealed.